NEW YORK, NY, March 26, 2019 /24-7PressRelease/ — Money Answers Show host, Jordan Goodman, invited Jeffrey Small, president of Arbor Financial based in Florida and author of a new book called “Turning Financial Planning Right Side Up”, to his weekly podcast on how to manage your financial portfolio in order to receive maximum returns and avoid unnecessary fees. Money Answers Show episode, “Turning Financial Planning Right Side Up with Jeffrey Small” discusses the most successful ways to achieve successful returns on your investments while trying to plan for the unknown variables that can happen. The market is constantly shifting and in order to accomplish your goals, you need financial literacy to make the right adjustments. Understanding the fluctuation of the market and these variables is essential to creating a sound portfolio. Not only do you yourself need to be educated, but finding a company, such as Arbor Financial, that can help manage your assets without exorbitant fees that lose you money is beneficial. You need to be aware of fees from professionals and from Wall Street that can affect your return. His book has become a valuable tool for those trying to learn the intricacies of the market and how to get the most from your money without losing potential gains to excessive fees and taxes. 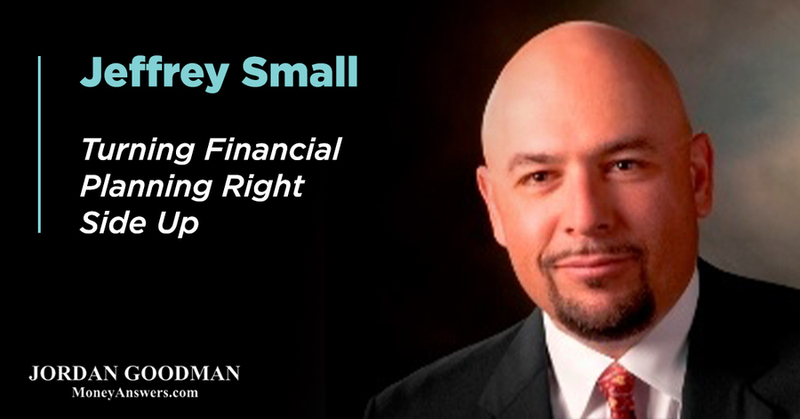 For more information on how to get your planning back on track, check out “Turning Financial Planning Right Side Up with Jeffrey Small” and other great podcasts from the Money Answers Show. Jordan E. Goodman is “America’s Money Answers Man” and a nationally-recognized expert on personal finance. He is a regular guest on numerous radio and television call-in shows across the country, answering questions on personal financial topics. He appears frequently on The View, Fox News Network, Fox Business Network, CNN, CNBC, and the CBS Evening News. He is the author/co-author of 13 best-selling books on personal finance including “Master Your Debt Fast Profits in Hard Times,” “Everyone’s Money Book,” “Master Your Money Type,” “Barron’s Dictionary of Finance and Investment Terms and Barron’s Finance and Investment Handbook.” Jordan is also a speaker and seminar leader on personal finance topics for business executives, students, associations, investment clubs, employees and others. For more information, please visit https://www.moneyanswers.com.